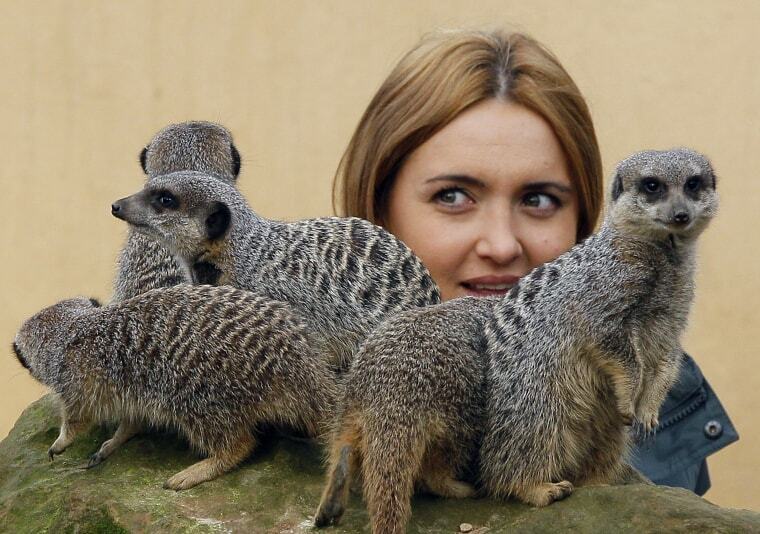 LONDON — A former meerkat expert at London Zoo was cleared Tuesday of assaulting a monkey handler in a love spat over a llama-keeper. Two High Court judges said Tuesday that Caroline Westlake had not "recklessly" injured Kate Sanders. In October a lower court found Westlake, 30, guilty of assaulting Sanders, who suffered a cut cheek from a wineglass after the two women argued at a zoo Christmas party in 2014. Both had dated colleague Adam Davies. Westlake had said she did not remember hitting her colleague with the glass. Westminster Magistrates' Court found she had struck Sanders "recklessly but not intentionally." The High Court said Tuesday that magistrates had applied the wrong legal test for recklessness and quashed the conviction. Westlake was fired by the zoo after the incident. Her lawyer, Suzanne Kelly, said Tuesday that "Ms. Westlake's life has been destroyed by something that was no more than an unfortunate accident." "Justice has now been served and Ms. Westlake would now appreciate the opportunity to put this matter behind her and rebuild her life," Kelly said.